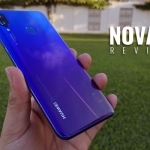 Home › Tech News › Cherry Mobile Burst Review – an Alternative to Flare? Cherry Mobile Burst Review – an Alternative to Flare? 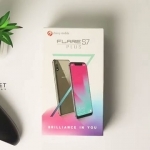 The unprecedented success of Cherry Mobile Flare skyrocketed its demand among the Filipinos who want to have affordable smartphones with awesome specs. 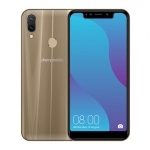 The supply of the unit simply cannot keep up forcing Cherry Mobile to release another model at the same price. But will Cherry Mobile Burst be able to stand up to the success of Flare? Will it also solve the problems with Flare like the missing FM Radio app and SMS rotation? Let’s find out. Is Burst the Same as Flare or is it Better? When I look at the Cherry Mobile Burst, the first thing that I notice is its rounded corners. It’s more pebble like compared to Flare. Many people like phones with curved edges because it is more comfortable to hold. With Aesthetics, the Burst wins over the Flare. If you read my Cherry Mobile Flare Review, you’ll notice that it has a 1.2 GHz processor while Burst has 1 GHz only. That might lead you to think that Burst will perform slower compared to Flare but that’s not really the case. 1 GHz of dual core power is enough to run several apps at once like opening Facebook, Twitter, Messaging and Temple Run at the same time. Both Flare and Burst run on a mere 512 MB of RAM. That affects the fluidity of playing very resource hungry games. But again, it is enough for the normal person using an Android phone. Burst can play 1080 x 720 videos and it’s as smooth as your hot oiled hair! When Cherry Mobile Flare came out and made a huge success, people discovered that it has no FM radio! FM Radios are basic to phones nowadays. Without it, how can you listen you your favorite FM radio station? No more ‘kambing’ for you! 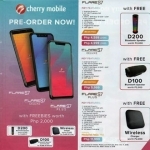 But don’t worry, Cherry Mobile made it sure that the Burst will feed your hunger for an FM radio. It’s there in the specs. You might get disappointed with this. Burst still has the meager 1500 mAh battery that so many Flare users dreaded. It simply won’t let you survive an entire day without recharging your phone. Listen to this though, the main reason that your 1500 mAh battery don’t last long is because you’re constantly using it. Let your phone rest for a while and focus on your work or on your class. Users of Cherry Mobile Burst comment that Burst offers very fast browsing experience. You don’t need to wait a minute or more for a webpage to load. Even Facebook is fast with Burst. This might be the reason why Burst is called as such. There is a burst in speed! 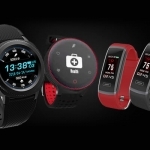 The rise of local brands of Smartphones in the Philippines is amazing. If you try to reflect on what we are experiencing right now, you’ll be amazed at the phenomenon that we have. Never was there a time when Filipinos line up to buy a local phone! It’s crazy! 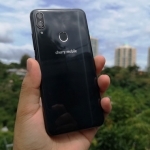 The addition of the Cherry Mobile Burst to the Smartphone market proves how Filipinos can create something that’s useful but at a very reasonable price.